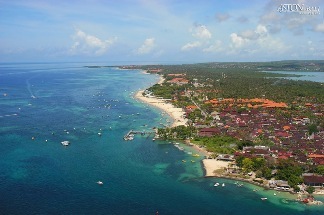 Tanjung Benoa was just a fishing village, it grows until one the best and luxury resort in Bali. 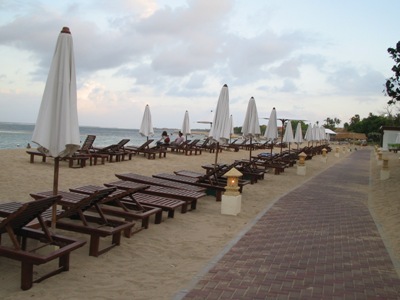 Located 4 km north of Nusa Dua beach, one of the best beaches in Bali for water activities like banana boat, jet ski, parasail, powerboats, windsurfing, diving, there are no shortages of this. Attention water sports fan!!! This is the place you have to be. The facilities is enormous, don’t worry about that. You will have to most wonderful time of your life in this place if you’re crazy about water sports. The beach is an scenic with a beautiful fine sand. The shape of the beach makes The resort area very charming and home of the most luxury resort in Bali after Nusa Dua resort. This is also home for upscale shops and delicious restaurants. And one of the most significant restaurant, Bumbu Bali makes the trip to this place really worth it. I’m really like food, so the first thing I’m looking for if I go somewhere is food. This restaurant served the finest Balinese cuisine, an exquisite restaurant with Typical Balinese architecture and relaxed atmosphere, click here for more info about this restaurant The beach is easy to reach from Bali airport Ngurah Rai, about 20 minutes drive. Benoa has actually two parts, the harbor and the village. The harbor is on the north side and that has directly connection with Denpasar. And the village lie on the south side of the bay. There are enough boats that shuttle back from the harbor to the village. See this great ariel view from the sky. This photo is from Aston Bali Resort and Spa Hotel. Click here if you want know more about this hotel.